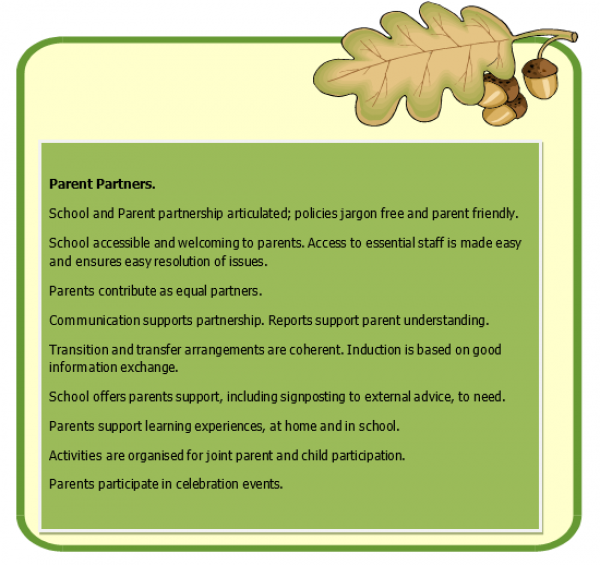 When it comes to facilitating the best possible provision for SEND, governors can be a valuable ally for the SENCO and other leaders. I have been fortunate to serve as governor at each of the schools I’ve worked in to date. I have served as a staff and, more recently, co-opted governor. I have also spoken to the University of Manchester’s School Governor Initiative, focusing on how governors can actively support a school’s provision for SEND. This starts with knowing the law and listening to key stakeholders. Last week I was invited to address the Hampshire County Council’s conference on SEND governance. This was an excellent opportunity to help over 100 governors develop new strategies for supporting young people and their families. In light of this event, and the many others like it I’ve attended recently, now would be a good time to condense my advice for strong and informed governance into a single post. One of the most important messages from Ofsted at last week’s event was that a school’s curriculum offer is essential; more important than singular exam grades or levels. Last year I wrote about the need to maintain a personalised approach through an inclusive curriculum, a message that is gaining momentum as we support pupils with more complex needs in our schools. Does the curriculum meet the needs of your pupils? If are to prepare young people for adulthood, we need to ensure the strongest possible foundations for learning. Narrowing the choices available to our pupils in the pursuit of a numerical output should never be desirable. It is therefore important that governors can assess the suitability of the curriculum for all learners, especially those with SEND and, most importantly, ask about it. Another area outlined was one very close to my heart: NEETs. We should aspire to all young people progressing to further education, employment or training once they leave school. Despite having written about the broader barriers to this, we should not neglect our duty to support these pathways through our provision and curriculum offer. Governors should ask for NEETs figures and examine individual students’ pathways through pro-active discussions. I delivered two separate sessions at the event, one on accountability and the other on parent/carer partnerships. Chris Chivers (@ChrisChivers2) has provided a great summary of the crucial messages, foremost being that governors must work closely with their SENCOs. what opportunities the SENCO has to link academic study directly to the job. Undertaking an academic approach allows for a deeper understanding and increases the opportunity for a truly whole-school approach. I stressed to delegates the importance of using the ‘assess, plan, do review’ model to lead school improvement, particularly when evaluating the school’s systems of support and accountability. A good starting point is for governors to consider the key questions below and use the model to guide any future discussions with the SENCO and key staff. In doing so, the progress made over the course of the year can be measured against starting points and supportive discussions can improve the outcomes for young people as a direct result. 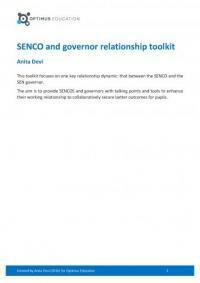 Created by Anita Devi (@Butterflycolour), this toolkit of resources focuses on one fundamental relationship: that between the SENCO and the SEN governor. No amount of intervention will make up for poor quality teaching: are interventions part of your teaching and learning cycle? How do we know interventions are effective? Why do you do certain interventions? How do you know they are effective? Do they dovetail with whole-school provision? How to you track progress? It's worth republishing these edited extracts from Chris' erudite post. 'In a culture of early years teachers, it is more essential to quality assure teacher judgements through regular, recorded mentoring and moderation activites. Have overt expectations. 'Consider IPSEA online legal training module for the SENCO and others. 'Could the SENCO role be co-oped on to governors, to enhance the strategic aspect of the role? 'Include a SEND target in performance management outcomes. Focus on teacher standards 2, 6 and 5. 'Who does interventions? Why, where and when? Impact assessments? Interventions or whole-class expectations? Tracking progress within interventions? Governors should consider the time they have and how to use it most effectively. From my own experience, I know how much this can vary according to circumstances. Through the key questions above and my previous thoughts on school improvement, I’ve hopefully made a convincing case that conversations should be framed around where things currently are and how they can be improved further. Having a clear framework from which to develop supportive discussions between the link governor and SENCO, will allow for a more focused approach to governance and accountability. Making time for positive, proactive discussions is also an important part of being that ‘critical friend’. 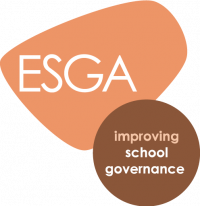 Delivered in partnership with EES for Schools, the Effective School Governance Award provides schools with a framework to develop and demonstrate the impact and effectiveness of their governing board.